Your truck is probably one of the most expensive things you own, yet it is almost constantly depreciating. Every day and every mile that you put onto your truck decreases its monetary value, making it harder to sell. While that might be a problem if you were trying to recoup your losses, chances are good that you bought a truck because you need it. Still, there are ways to put a little bit of money into your truck and see a nice return. A Line-X spray-on bedliner is one of the investments you can make that will pay for itself over time and may even put a few extra bucks into your pocket when it comes time to sell your truck. If you need a tough, long-lasting bedliner, call us at Safari Truck in Jacksonville. 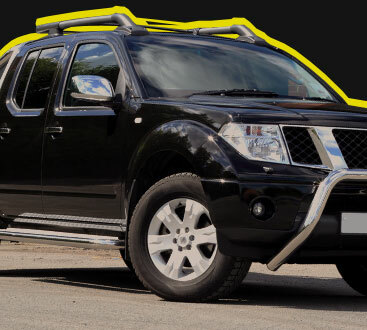 We are an authorized Line-X dealer and installer, and we also carry a wide range of the most useful truck accessories. Contact us today for a free estimate on a bedliner, nerf bars, tonneau covers, grill guards, and more! Read on to find out why Line-X protective coatings are an investment that is definitely worth the cost. It doesn’t matter if you use your truck for work every single day or if you only take it out on weekends, because a truck liner will make it possible for you to drive your truck for longer. The special Line-X coating is designed to prevent scratching, dents, and rust from destroying the bed of your truck, so you won’t have to replace your truck as soon. 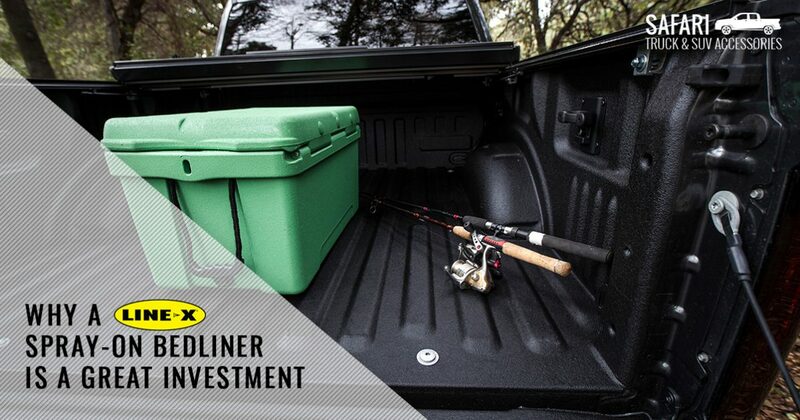 Instead of buying a new truck, a Line-X bedliner will make it possible for you to keep hauling heavy loads, tools, and recreational equipment for many years to come. Line-X is so confident in the strength and reliability of their coatings that they carry a lifetime warranty. This means that if your bedliner fails because of the way it was applied, it will be replaced free of charge. Try finding a guarantee that good on any other truck accessory or part! Line-X doesn’t just do bedliners! Protect your wheel wells, the bottom of your doors, or almost any other surface on your truck with our strong, scratch- and dent-resistant material. The Line-X material resists staining, won’t bubble, crack, or peel, and it prevents your body from rusting. With regular mechanical maintenance and Line-X protection, there is no telling just how long your truck can run! 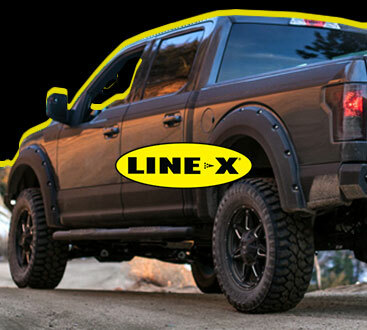 Contact us at Safari Truck in Jacksonville for a free quote on a protective coating from Line-X as well as any of the high-quality truck accessories that we carry and install. Our technicians have years of experience, so you will never have to worry about your truck when it is in our care. We have served the Jacksonville area for over a decade and have helped many people take better care of their SUVs and trucks. Give us a call if you have questions or if you are ready to take your truck game to the next level.